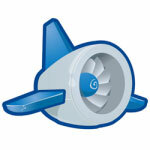 Google announced a tentative product road map for its cloud computing service App Engine. The road map, which was published yesterday along with App Engine documentation, is fairly vague, and Google engineers concede that dates could slip, but the document does nonetheless give us some indication of what is coming from Google. The document is short on specifics, so we’re left to guess at what the new runtime language that App Engine is planning to support could be. Recently there was a lot of chatter about a report out of India that Java would be the next App Engine language based on feedback from the community. Google, however, denied that anything is in the cards soon and was coy about what languages they’re working to support. “While we don’t have any immediate plans or announcements, we are working on other languages for App Engine. 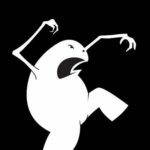 Security and performance are our primary concerns with any new language runtime and getting it right takes time,” the company said in a statement according to ZDNet Asia. If Google does support Java, then it seems likely that the Java Virtual Machine languages would also work. Meaning that people could then use JRuby and Rhino on App Engine. The roadmap, though teasingly ambiguous, is packed with significant updates. One of the most noteworthy is the announcement of the impending addition of billing. In order for developers to look at App Engine as a serious alternative to other cloud computing platforms, such as Amazon’s, making sure customers are never greeted with quota exceeded messages is definitely a key.